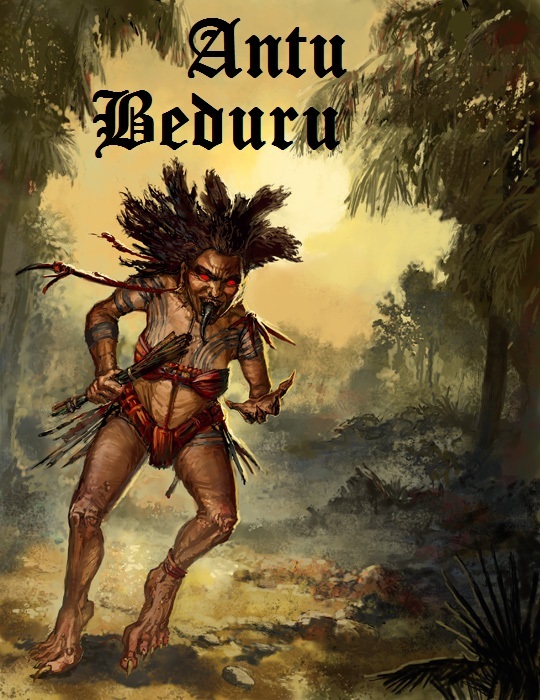 Antu Beduru: Enda badu badu ngerichau Apai Saloi tu ah! We were betrayed by PKR during the state election and stabbed in the back by DAP, says SNAP sec-gen Stanley Jugol. KOTA KINABALU: The Sarawak National Party (SNAP), a formidable nationalist force which once ruled the state, is at a crossroads in the wake of the just-concluded April 16 state election, according to a post-mortem concluded within days. However, while the Iban-led party – Parti Asal Bansa Kitai — may be down for now, it’s by no means out. This is the confident, if not defiant, tone struck by SNAP secretary-general Stanley Jugol in an exclusive take in Kota Kinabalu. Jugol was in the Sabah capital to trade notes with Sabah Progressive Party (SAPP) president Yong Teck Lee and for a much-needed short vacation with his family in a favourite holiday destination for Sarawakians. On the post-mortem, Jugol disclosed that his party confirmed that it was done in by two other Pakatan Rakyat (PR) members, the PKR and DAP, in-fighting within the opposition alliance, money politics by the ruling Barisan Nasional and its own lack of resources. SNAP, the post-mortem concluded, was also not “the spoiler” in multi-cornered fights since even the combined opposition votes in the 26 seats it contested was less than that collected by the BN. “The BN didn’t even bother to really campaign much in the rural areas and yet it won,” claimed Jugol. Going forward, Jugol does not think that SNAP will ever merge with the DAP following the latter’s invite from party stalwart Lim Kit Siang. He disclosed that SNAP was taken aback by the invite although it is yet to reject it outright. The Parti Rakyat Sarawak (PRS), led by James Masing, has also invited SNAP to close shop and join it and participate in merger talks with the Sarawak Progressive Democratic Party (SPDP). Both PKR and DAP, he explained, backed each other during the campaigning and urged the voters to reject SNAP in favour of either themselves or the other party. DAP, he added, went along with PKR’s lies and this included the fiction that SNAP was suddenly rolling in money because it was purportedly financed by the BN and would be re-joining the ruling coalition soon. “Both PKR and DAP did not concentrate so much on BN during the campaign but against SNAP,” alleged Jugol. Having faced the DAP’s onslaught during the polls period, Jugol did not think that SNAP could suddenly turn around and “persuade the Dayaks to love the Chinese-based Peninsular Malaysian party”. Besides, a DAP-SNAP merger would merely be a re-creation of the discredited SUPP model, he said. PKR, pointed out Jugol, also wants all Dayak seats for itself since “it can’t win even a single Malay seat in Sarawak despite being a Malay party”. Leaving aside the proposed DAP-SNAP merger as a non-option, and the possibility of teaming up with PRS and SPDP, Jugol thinks that his party could still mull over several other definite options. These include the party staying as it is – pledged to unite all Dayak seats under its banner; transform itself into a Borneo-based party or a Borneo-based national party. He does not rule out the possibility that SNAP would formally invite Sarawak PKR leader Baru Bian to take over the helm of the party since the president, Edwin Dundang, has expressed a wish to step down. Baru, an Orang Ulu, is the newly-elected state assemblyperson for Ba’Kelalan. He is expected to help attract the minority Dayak communities like the Bidayuh and Melanau besides his own people. He expects SNAP – “we are still licking our wounds” — would stay out of the fray for the parliamentary seats if the general election was held this year. The later the general election is held, confirmed Jugol, the greater the possibility that SNAP would focus on a few Dayak seats. These have tentatively been identified as Serian, Kapit, Mambong and Betong. Asked for the particular interest in these seats, Jugoh said that they were held by non-Dayak based parties like SUPP in Serian and the Malay-based Parti Pesaka Bumiputera Bersatu (PBB) in the three other areas. Besides the 26 seats where it contested, SNAP member George Lagong stood and won Pelagus as an independent. Lagong, a half-brother of tycoon Sng Chee Hwa, initially had the party’s official consent to stand against Masing in Baleh at the instigation of the latter. But when Lagong changed his mind and decided on Pelagus instead, there wasn’t sufficient time to issue him with a new official consent letter since party officials were also busy in their respective areas. Jagol : PKR is a multi-racial party; the majority of Sarawak PKR members are Dayaks. Fools open their mouths only to confirm their stupidity. up the excellent quality writing, it's rare to see a great blog like this one today. I'm gone to say to my little brother, that he should also pay a quick visit this web site on regular basis to take updated from newest reports. equally educative and entertaining, and let me tell you, you've hit the nail on the head. The issue is something not enough folks are speaking intelligently about. Now i'm very happy I came across this in my hunt for something relating to this.